In December, Laos is hosting the SE Asian games, with a variety of sports being offered all around the country. 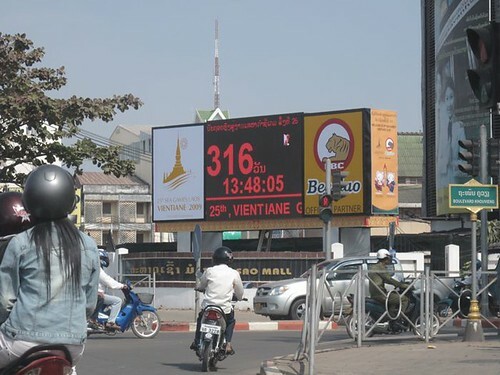 This clock is at the corner by the Morning Market in downtown Vientiane, counting off the days until the start of the games. Just showing off a part of my world. For other places, go to That's My World! I see the major form of transport is the scooter, like many Asian countries, quick and efficient and noisy as they all toot as they drive along. Those games will be an exciting event.